Powerful retail brand development made our client more recognisable nationally, leading to increased sales and recruitment opportunities. Retail brand development requires more than skill and experience – it’s about knowing exactly who your customers are and how to earn their loyalty. Rather than treating consumers as a target to be hit, we help clients see them as individuals whose purchasing decisions reflect emotional needs and values. 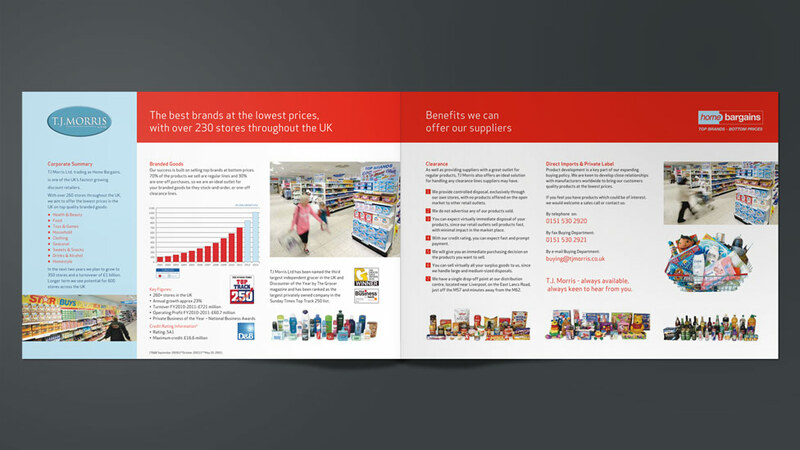 To help national retailer, Home Bargains, bridge the gap between “a brand” and “my brand”, we delivered a comprehensive retail brand development strategy built on establishing connections with internal and external audiences. 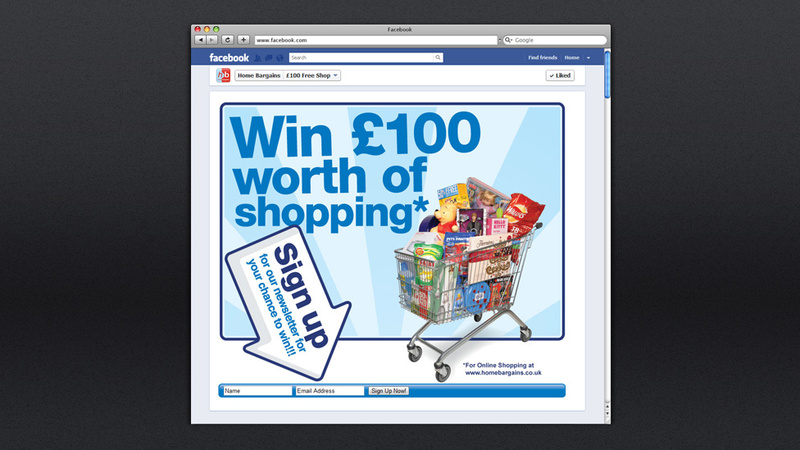 Our creative team knew that conveying key messages wasn’t enough, so we worked to build customer loyalty across a variety of traditional and digital platforms – ultimately strengthening awareness and boosting engagement. 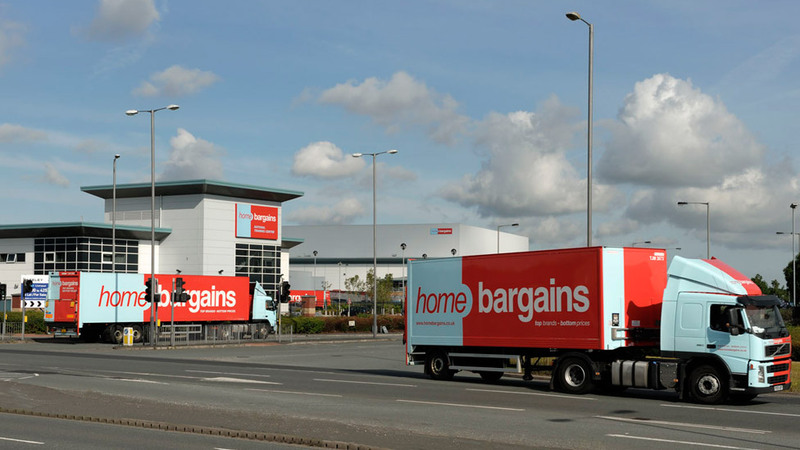 As the second largest independent grocer in the country and one of the UK’s fastest-growing discount retailers, Home Bargains faced enormous competition. Stocking a wide range of competitively priced high street brands, the company wanted customers to feel good about shopping in their stores and associate it with delivering value for money. 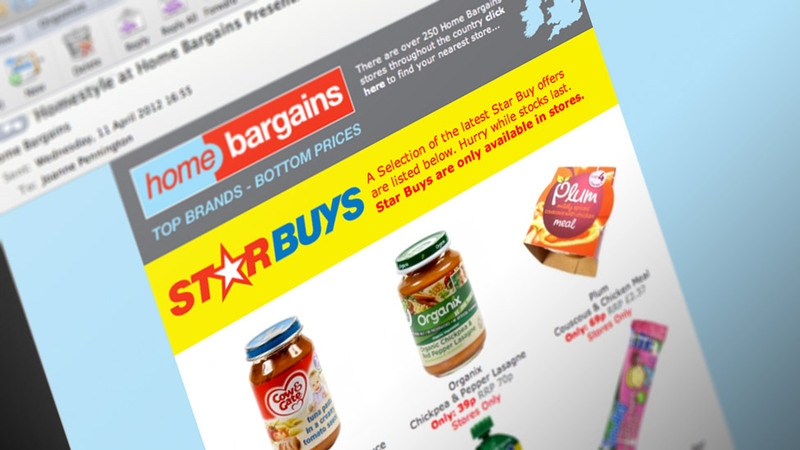 Home Bargains also wanted to extend its brand to the digital space with an attractive and friendly ecommerce website that mirrored the in-store experience. Updating and refreshing the company’s distinctive logo, we aspired to develop a brand that validated the perception of “Top brands, Bottom prices” in the minds of consumers. 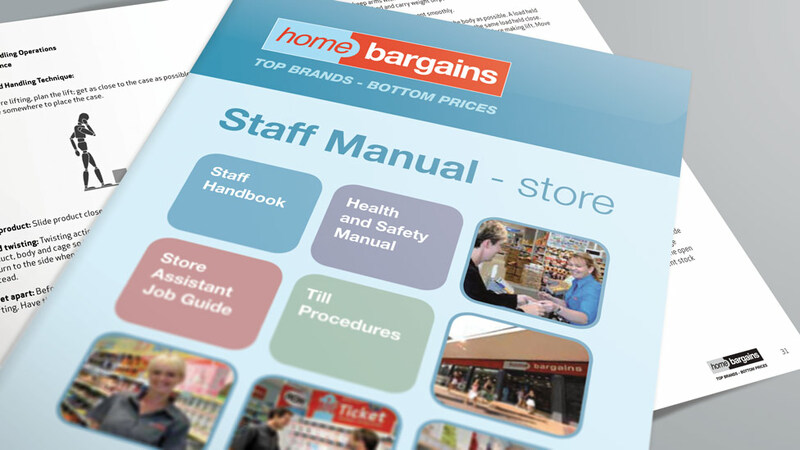 It was important to help Home Bargains sell a positive in-store experience, so we focused on fresh, simple design that was friendly and appealing. This creative approach addressed the customer’s need to feel comfortable shopping at a discount retailer and increased the store’s visibility and appeal. 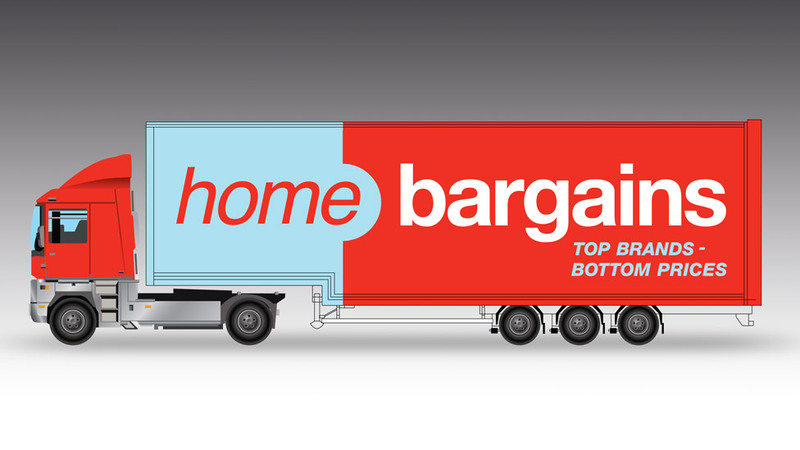 Seen by millions of people on UK roads every day, Home Bargains’ cargo trucks were a perfect opportunity to reinforce the company’s brand presence. Plus, the attractive and distinctive company logo was almost exactly the same proportions as the sides of their vehicles. By wrapping the vehicles with the company colours and logo, we created a low-cost advertising resource that effectively disseminated the company’s messaging. 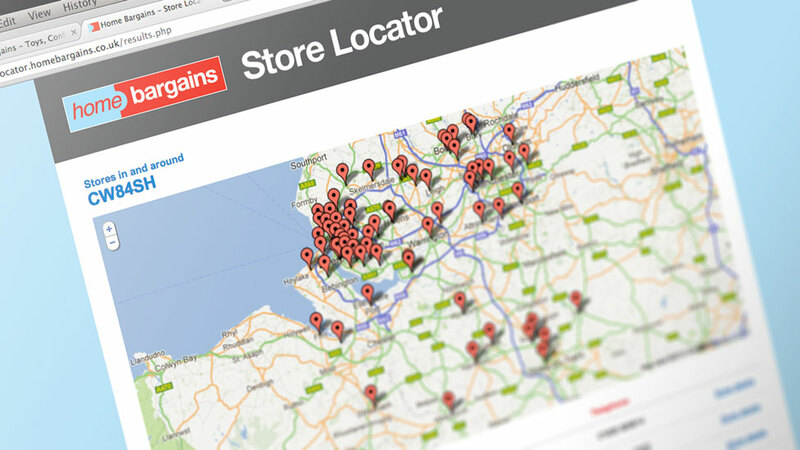 Our creative and digital teams developed everything from point of sale materials for in-store promotions to a new ecommerce website that showcased the company’s vast range of products. 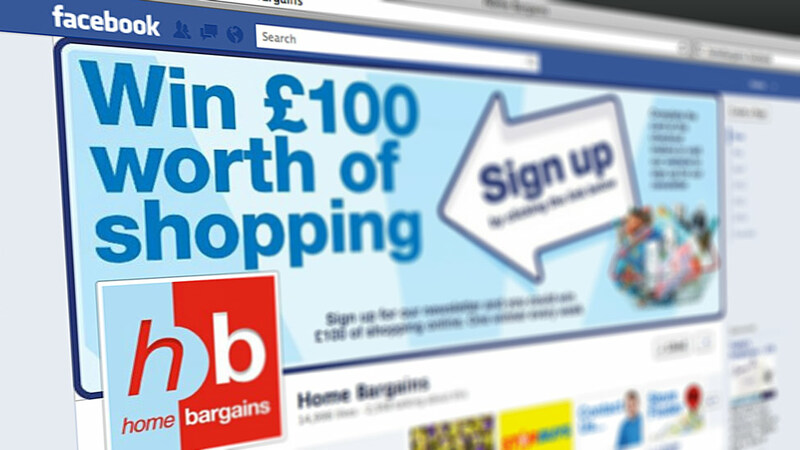 This ensured that the online customer experience was consistent with Home Bargains’ store image, enhancing key messages and validating positive perceptions about the brand. 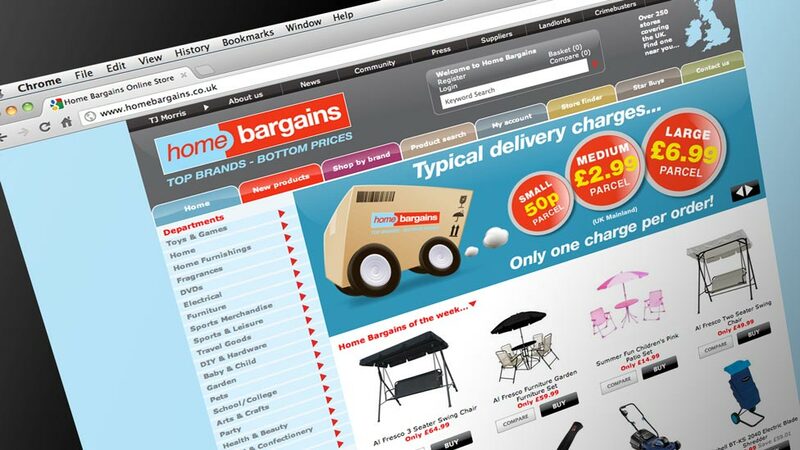 We continued to identify opportunities to extend the brand and connect with customers, such as designing and implementing an email marketing strategy following the launch of the Home Bargains ecommerce website. 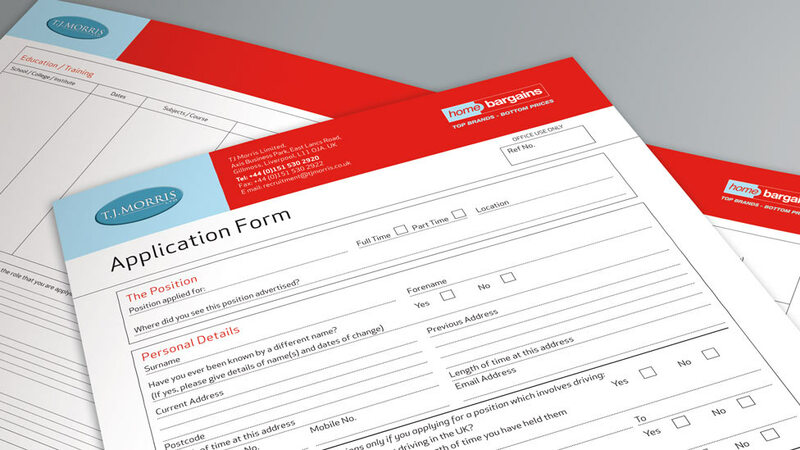 We even helped the client capitalise on an existing resource to create mobile ads that used the company’s delivery vehicles to spread brand awareness. The new brand was also launched across the company’s collateral and social media channels. 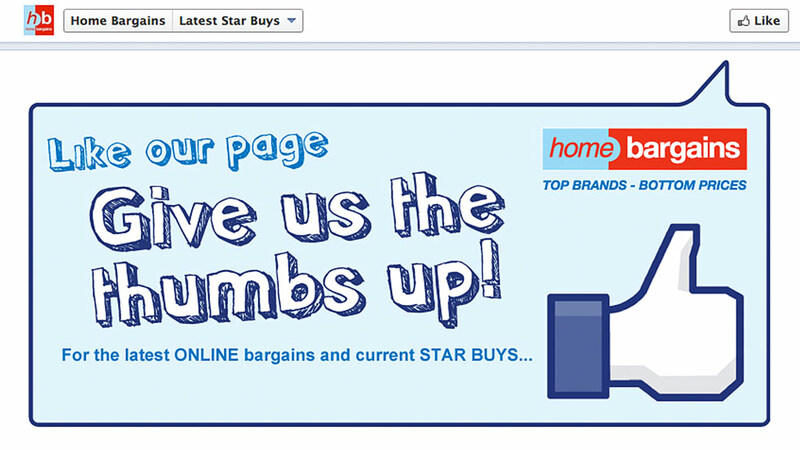 Home Bargains saw increased sales nationwide, as well as a significant boost in brand recognition. Additionally, the email marketing tools we developed helped the company’s internal team effectively manage store promotions, leading to stronger website traffic and more consumer purchases online. 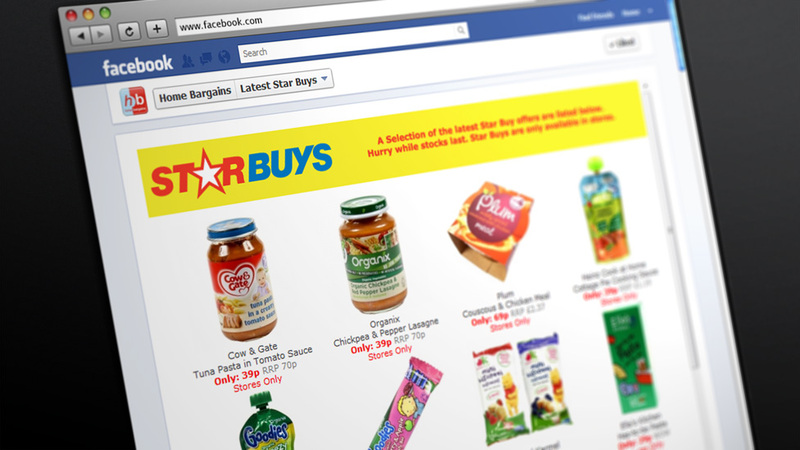 Parker Design is a brand agency that excels at ecommerce development. Having outgrown its original name and logo, Sarah's Cards Ltd. asked us to develop an online brand strategy to re-launch its identity and establish a profitable online presence. Aiming to establish its brand identity and capture a larger share of the lucrative B2B cloud services market, Talk Internet approached Parker Design to develop a bespoke logo and B2B brand strategy. 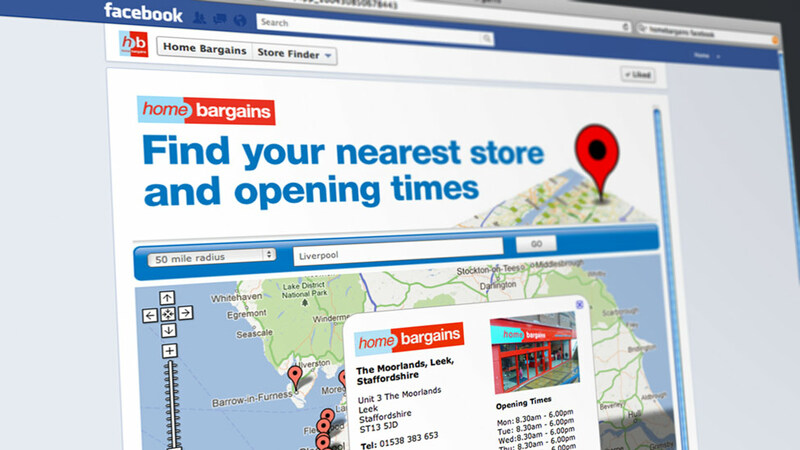 In a move to start selling larger 'higher value' products in their 280 UK stores, Liverpool retailer Home Bargains decided they wanted to trial a new retail point of sale concept in some of its Northwest stores and tasked Parker Design with coming up with a solution.